What is the most effective way of stopping an escaping blacklist racer? Ram their car head on. 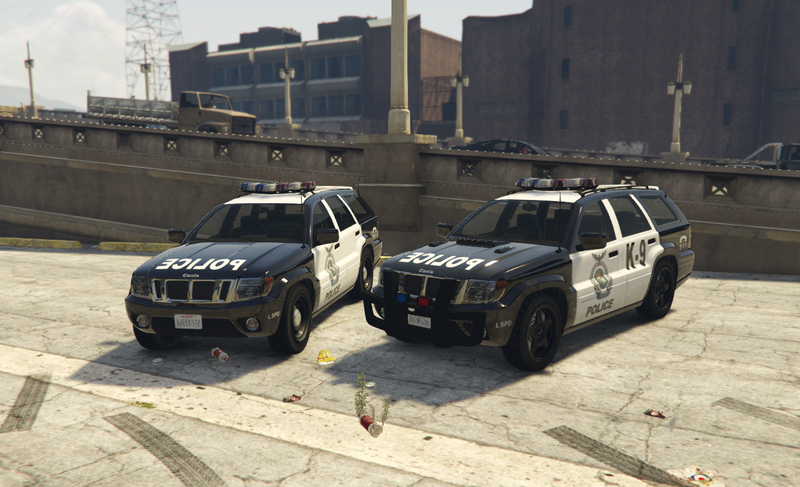 Rockport Police Department employed a fleet of Seminole SUVs for that purpose, in addition to standing in roadblocks, where they took the role of nearly immovable wheeled tanks. 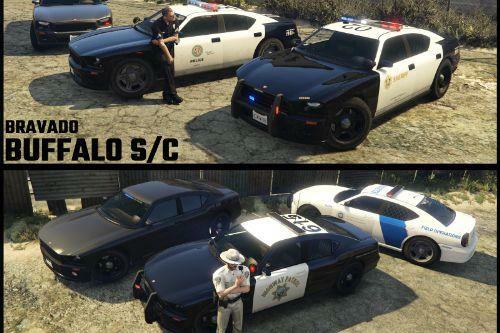 Their sturdiness and intimidating looks contributed to naming the RPD unit that utilized them as Rhino unit. Rhino unit officers always hunted in pairs, striking double the fear amongst illegal street racers. 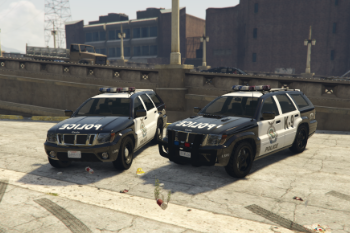 • two Rockport PD-styled LSPD models (rpdsuv, rpdsuv2). 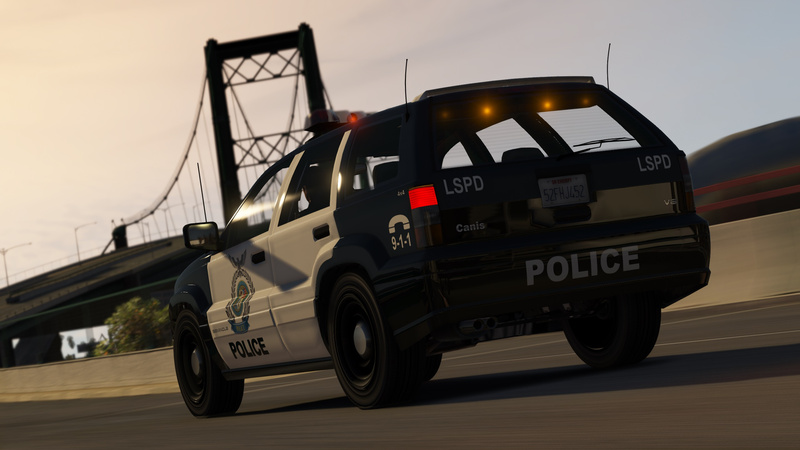 • Full livery support - 4K template available in the archive. • Two liveries included: yellow stripes and lettering (Anniversary Edition), faux wood panel side decals (Vintage Edition). • Secondary colour: lower portion of the body. 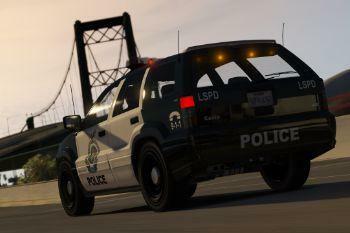 • Improved light design: added third brake light, reversing lights, fog lights. • Redesigned trunk (by Da7K). • New badge design and placement, reminiscent of Jeep Grand Cherokee WJ (2004). • Extra parts: hood vents, roof railings, minispoiler. 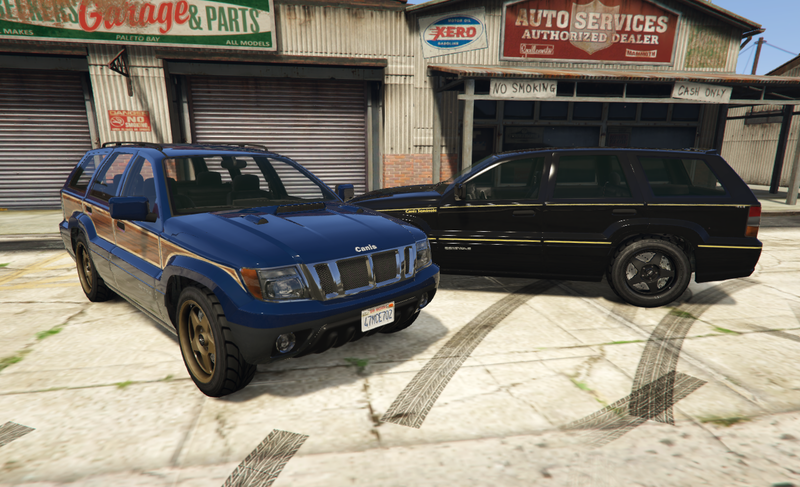 • Two models based on light Rhino SUV and heavy Rhino SUV from Need for Speed Most Wanted (2005). 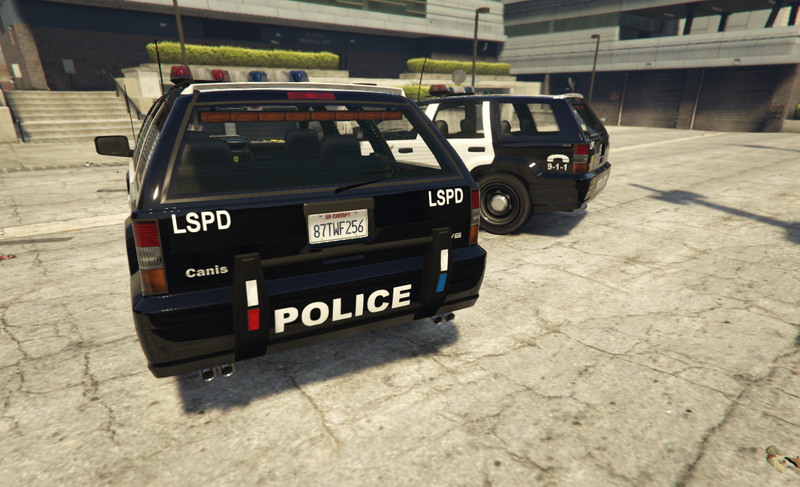 • RPD-style liveries with LSPD markings and equipment accurately based on Most Wanted specification. 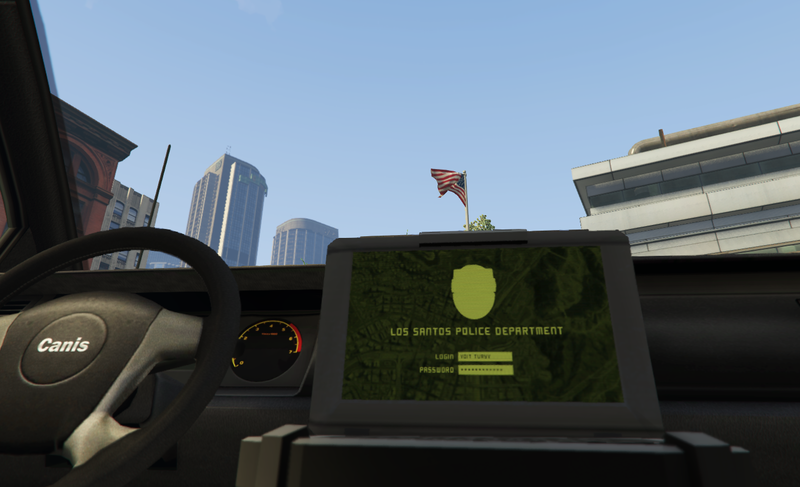 • Police equipment on par with Realism Dispatch Enhanced (RDE) level of details: an interior console with light and siren control panel, a toughbook, a DUDE-manufactured pushbar. 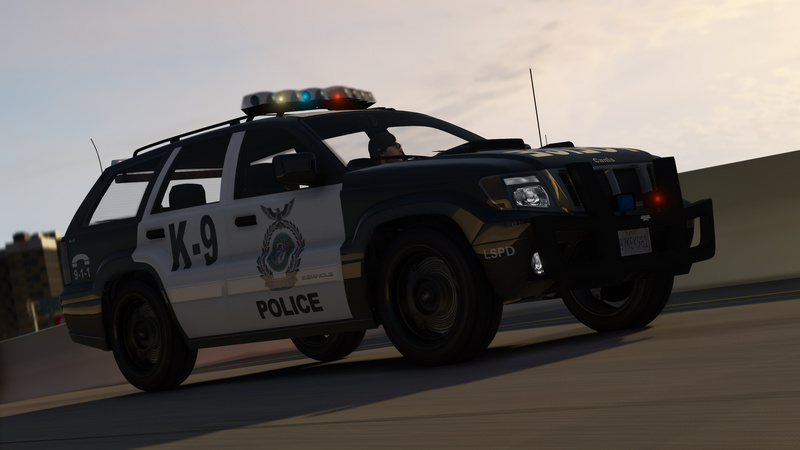 • Unique lighting setup with a Vector-styled lightbar, front and rear pushbars, rear-facing amber traffic advisor, headlight flashers. 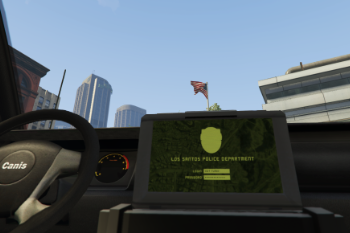 • Custom-made Rockport-styled toughbook screen, based on police database login screen from Most Wanted cutscenes. • Front pushbar modelled from scratch (by Da7K). 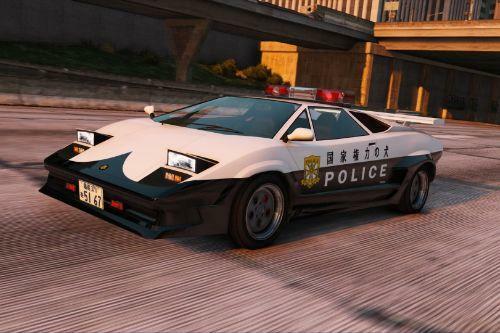 • RPD model differences: wheels, livery, exhaust system (2 pipes for light, 4 for heavy variation), two pushbars, hood vents, roof railings present on heavy variation. 4. Move the provided dlc.rpf inside "vtseminole". 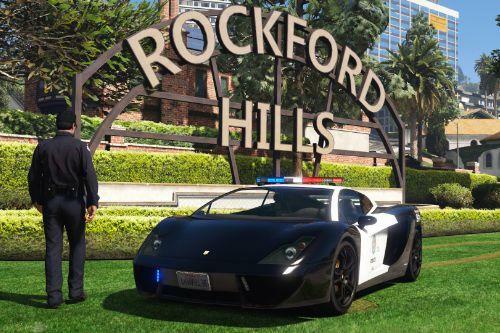 Rockstar Games - original car model. Voit Turyv - car model improvements and variants, UV mapping and template, livery design, text files. Da7K - front pushbar model, redesigned trunk model. 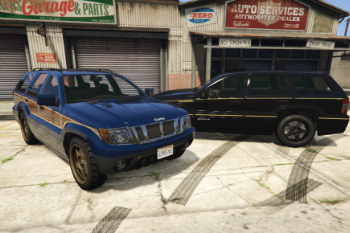 DynamoHotRun - civilian variant liveries: Anniversary Edition, Vintage Edition. 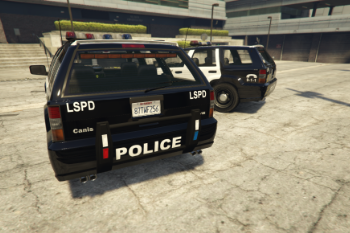 NefariousBonne - improved police equipment, RPD-style decal design. 11john11 - lighting setup design, toughbook model conversion from GTA IV. Yard1 - Federal Signal Vector model conversion from GTA IV. Lt.Caine - emergency light textures. Boywond - new badges, toughbook screen design, screenshots. Johnny362000 - original Rhino SUV design research. If you want to modify the model or reupload it somewhere else, make sure to contact me and give credit. THE NOSTALGIA IS REAL!!! 😁 Thank you! 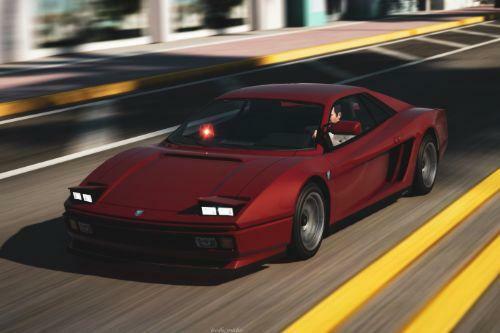 @KallusRourke Me and the author are not interested in adapting our models to ELS, the default light system fits default cars like this best in our opinion. @KallusRourke Exactly what @11john11 said. The less external mods required to use my models with, the better. @Quakex64 That's for another update. I can't promise when it would be out or whether it would be me working on it. @GOD OF MODZZZ What is it? @Voit Turyv. I love your mods. they're perfect. 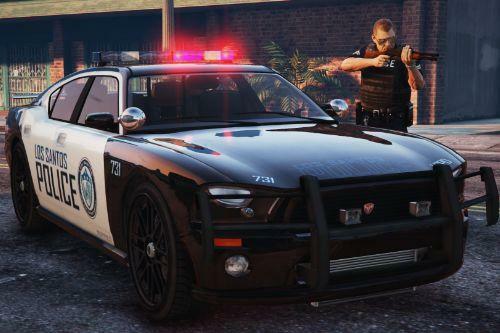 any chance you'll be doing a Guardian or Tampa in the future ? I know there's a Guardian, but it's not mapped or unlocked. @Voit Turyv. Kocham twoje mody. są idealne. czy w przyszłości będziesz robił Strażnika lub Tampę? Wiem, że istnieje Strażnik, ale nie jest on mapowany ani odblokowany. @racer x We shall see about that. If anything, they're rather far down my list. @velociraptor014 You must have missed it, then. The Seminoles are already a part of VWE.